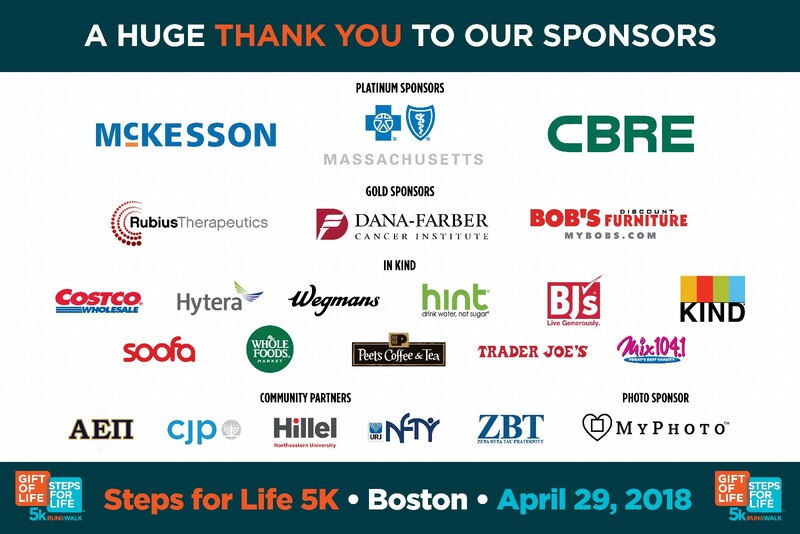 Sponsorships are available for all races, providing a range of opportunities for you or your organization to show support for Gift of Life’s mission. Brand recognition for sponsors extends throughout event day and beyond to our social media and public relations campaigns. National Event Coordinator Jody Greenspon at 800-9MARROW or by email at jgreenspon@giftoflife.org to find the right sponsorship for your organization.